Marketing is a lot like building a house—there are a lot of wrong ways to do it, and mistakes can be expensive. By developing a marketing blueprint, your business can avoid costly errors and lay the groundwork for a successful marketing program that will help you tower above the competition. For small businesses, marketing is one of the most lucrative things you can do to help earn your business new customers and keep the old ones coming back. Does your business have one? Is it functional? And is it mobile friendly? If you answered “no” to any of those questions, take some time to research online web-building services. There are even several DIY sites that provide beautiful desktop and mobile templates and will host your site for only a few dollars a month. Does your company have a Facebook Page? Can people find you on LinkedIn, Instagram, and other popular social media platforms? And are you actually using them? If not, you’re missing out on a huge opportunity to build relationships with your customers. Components of a successful marketing plan include marketing budgets, targets, metrics, research, strategy, and competitive analysis, for starters. Local search will grab the attention of customers that live near your business, and it’s a great way to earn foot traffic that will keep coming back! By now, you may be feeling some growing pains as your business begins to expand. A strong marketing framework is more important now than ever! At the very least, you should be scheduling regular email campaigns to your customers, have remarketing and lead-generation campaigns, and have graduated to targeted local advertising. Use inbound marketing tactics to increase your brand awareness and lead pipeline. Additional remarketing ads, a heavy focus on content like blogs and social media, or providing free resources your customers can utilize are some examples of inbound marketing tactics. Check out what your influencers are doing in your industry through social channels or reviews. Get them to connect with you and engage them in conversations. Add interactive, useful, and engaging assets to your website that will spark user interaction and dialogue. Examples include live videos, interactive infographics, calculators, quizzes, and anything that will keep your customers on your website for longer periods of time. Why not expand your marketing efforts to different geographical locations? Or, if you have an online business, consider expanding your target demographic. Consider hiring a marketing agency. These guys will take care of most of your marketing needs, which means less for you to worry about! Plus, they’ll be able to dedicate more time toward developing an effective marketing strategy than you can…and the results will show! You know what they say…the taller the building, the deeper the foundation must be. If your big business doesn’t have a rock-solid, innovative marketing plan, it will topple. Many large companies become complacent, relying on their big marketing budgets to prop them up when the competition intensifies—but that isn’t a reliable long-term strategy. This is an exhilarating and engaging type of marketing. Use special events, technology, web series, music concerts, etc. to captivate your audiences around the world. It’s one thing to be a part of a community like Facebook, Instagram, etc. It’s another to build one. Start a forum, or create a website where users can contribute. There are so many ways you can engage with your customers, and have them start engaging with each other. Become an early adopter of exciting technology, social platforms, etc., to get a leg up on your competition. No matter the size of your business, you need to be thinking of ways to build on your marketing blueprint to put your marketing house in order. Because, like a house, if you’re not fixing up your marketing program, it’s falling apart. At Destination Marketing, we create strong marketing blueprints for businesses of all sizes. 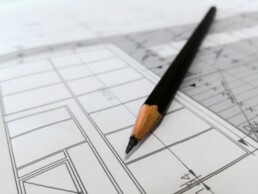 Our marketing blueprints are designed to create better revenue streams and increase our client’s ROI.